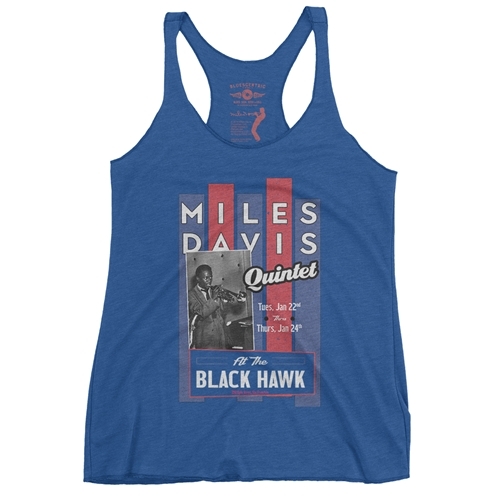 New official Miles Davis vintage t-shirt. Miles played a number of engagements at The Blackhawk, San Fransisco's iconic and pivotal Jazz lounge. 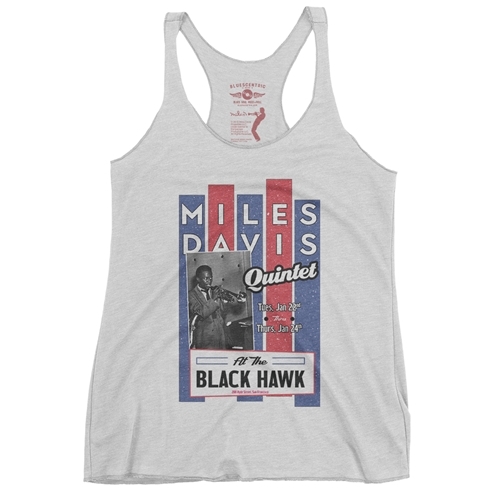 The 1957 engagement featured in this Miles Davis t-shirt included a now-legendary quintet featuring John Coltrane on tenor saxophone, Red Garland on piano, Paul Chambers on bass and Philly Joe Jones on drums. Miles, of course, played trumpet. 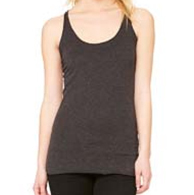 The lightly distressed women’s vintage rock concert t-shirt is a premium Next Level brand fabric-laundered 4.2oz triblend 50/25/25 polyester/combed ringspun cotton/rayon racerback tee.